Welcome to the Noble Travel and Tours website! 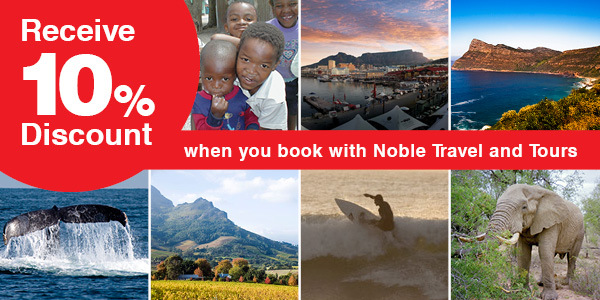 Noble Travel and Tours offer transfers for individuals and groups. Our range of services include local and garden route tours, accommodation, surfaris and safaris. Our daily scheduled tours as well as private tours offer memorable nature viewing & cultural experiences.